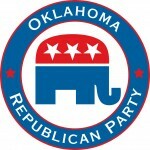 (Oklahoma City)- The Oklahoma Republican Party today released the following statement on the recount to take place in House District 71. As of Tuesday, Republican candidate Katie Henke trailed her opponent by just 3 votes. “I look forward to the recount process, this campaign will continue,” concluded Henke. Previous Post: Who Could be Against Open Government? What do Representatives say About HR 1004 — Open Government?